We stumbled upon the Rye Harbor Lobster Pound quite by accident while looking for a place to park for a Sunday road ride along the NH coast. Nestled in a row of shacks next to Rye Harbor, the only hint of its existence was a sandwich board – one of many – along Route 1a, Ocean Boulevard in Rye. The word “understated” is, well, an understatement. A couple of lawn chairs and a $10 white plastic table comprise the dining area. When you enter the shack, be sure not to step on the yellow dog! Friendly faces will welcome you and make you feel right at home, but you still don’t have a sense of what you are in for. The lobster rolls at Rye Harbor Lobster Pound are, in a word, delicious! An electric griddle stands at the ready to toast your standard split-top hotdog roll to perfection, while the owner carefully extracts warm chunks of lobster meat from a delicious bath of buttery stock. These lobster rolls are “mayo-free,” and the lobster here is light and fluffy (the Pound also dishes up award-winning “Fluffy Clam Chowder“). When you’ve had as many lobster rolls as we have, you become quite good at detecting not only “fresh” lobster, but also lobster that is “perfectly cooked.” Rye Harbor Lobster Pound scores extremely highly in this regard – so much so that, after visiting so many of New England’s heavyweight lobster roll joints later in the summer, we felt compelled to make another stop in Rye to be sure we got it right. We feared that since we first visited the Pound following a long, hard road ride, our exhaustion and appetite must have flavored our results. Not so. 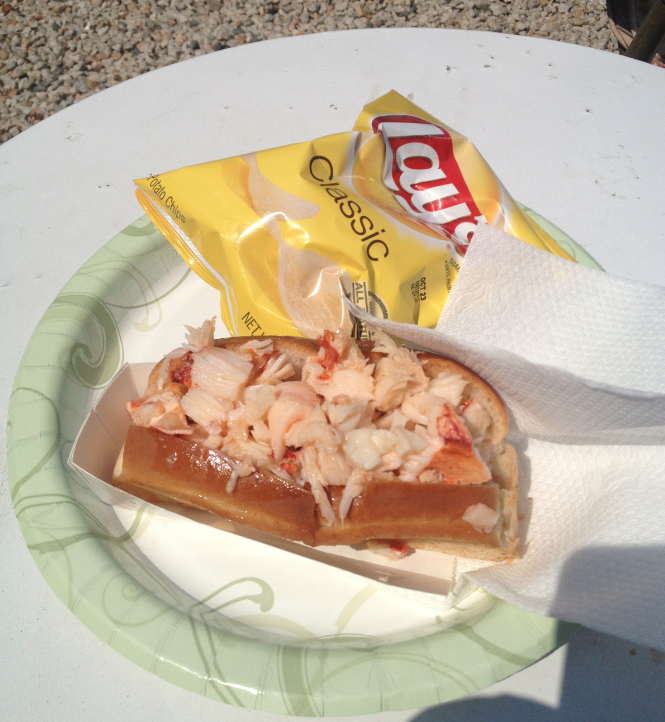 Our second visit confirmed that this hidden gem has one of the very best lobster rolls you’ll ever find. In fact, for the majority of the summer, the Pound held the top spot on P’s list, and was in the top-three for T.
These rolls are a good size – not huge, but for $12.95 they are a good value. On our first visit, P chose to forego her Lay’s potato chips. To her delight, Sylvia consequently brought her a free sample of her delicious Lobster Gazpacho. 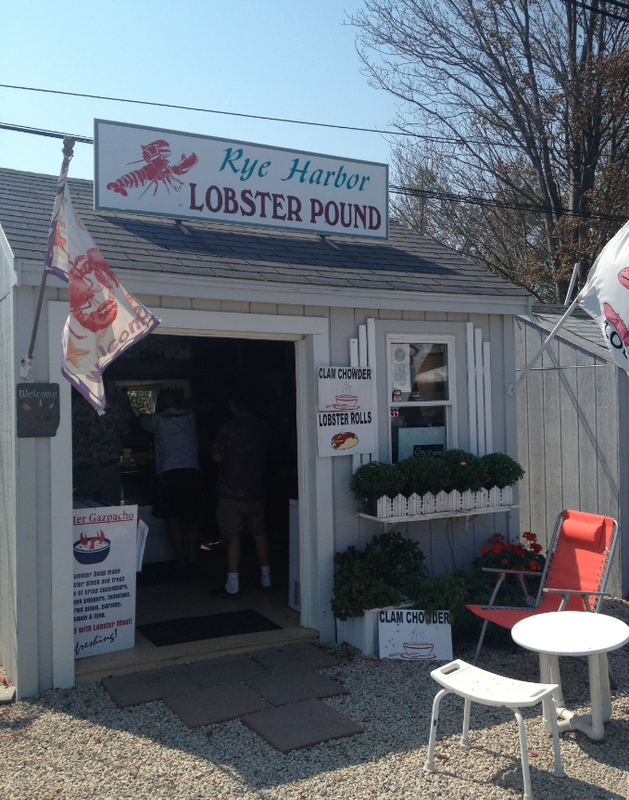 The Rye Harbor Lobster Pound can be found at 1870 Ocean Boulevard in Rye, NH – 6th shack on the right. FACEBOOK: https://www.facebook.com/ryeharborlobsterpound. EMAIL: ryeharborlobster@gmail.com. PHONE: 603.964.7845 Check their schedule, as we believe they are a seasonal business. Warm, moist, fluffy, delicious! Although simple, this is one of the very best lobster rolls you’ll ever find! You bet, Sylvia! Looking forward to it! !